Linseed oil production is extensive practiced throughout the world. Linseed oil is a yellow coloured compound extracted by pressing dried flax plant seeds. It is an edible oil widely used as a nutritional supplement and also for cooking purposes in some European regions. Linseed oil is used as a major painting compound that binds paint material, contains it and makes it extra glossy and shiny. It brought about a transformation in painting industry, used by people as putty that works as a sealant for glass windows when mixed with chalk powder. Its natural characteristic of drying upon application comes in handy for efficient wood finish. Linseed oil has an incredible history of over 5000 years being used as food supplement and an effective medicine. This oil is also world’s seventh largest and China country’s largest oil crop. Rampant production of linseed has been found in many countries globally, including the United States, Canada, Argentina, China, and other south Asian countries. Approximately 2.4 million tons of linseed is produced throughout the world. Linseed is composed of 30 to 40 per cent protein and same amount of oil. It also has important amino acids and is packed with dietary fiber, essential vitamins, minerals, lecithin and flavonoids, making it perfect for consumption and holding great medicinal value as well. The production methods of linseed oil are generally oil pressing (hot pressing & cold pressing) and oil extraction (refining). The new linseed oil hot pressing production process is a recently introduced technology that relies on conventional cooked pressing of flaxseed. It uses advanced manufacturing technology and an overall fabrication experience of that famous peanut oil with strong flavour, sesame oil and a number of other strong-flavour oils. Seeds used as raw material are high-quality and fresh, which are then pressed, added to flavoured oils under extremely high temperatures and dried. After they are dried, a mechanical pressing process takes places wherein these hot seeds are exposed to lower temperature and prepared for direct consumption. 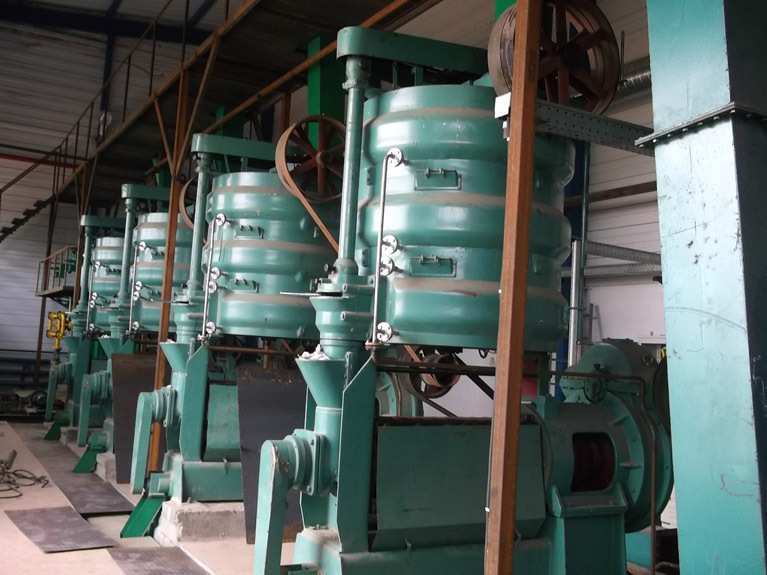 These dried and cooled up seeds are then taken through the process of stone and impurity removal, separation of hollow, low-quality seeds if any is done. 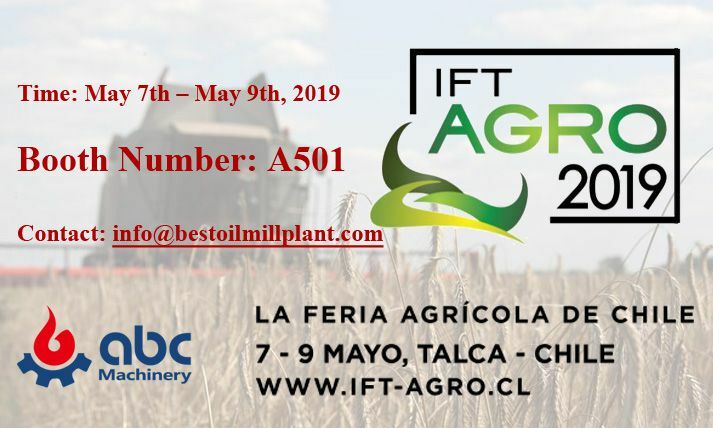 When all the iron and other impurities are removed from the seeds, they are placed into large hoppers and bifurcated into two pieces by small road feeding valves. The next step involves sending these separated and refined seeds into rotary drum roasting machines that provide an added aroma to these seeds at high temperatures. Selected linseeds are placed in flaking machines for further treatment and quality enhancement. All the seeds are then sent into huge frying pan-like containers after which they are sent into the lin seed oil pressing machine. 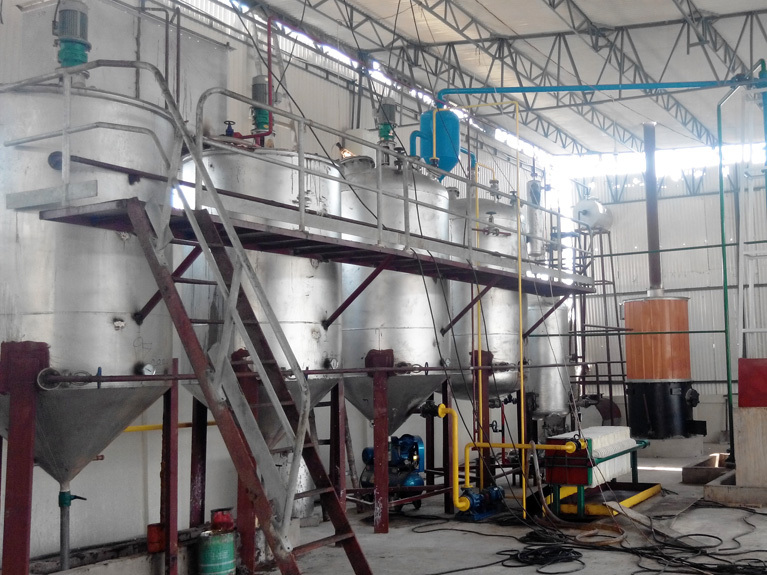 The completion of pressing process will produce strong flavoured crude oil which will be stored in huge tanks separately. Residues remained after the pressing process are re sent to go through the production process all over again for greater results. Crude Oil extracted is sent into cooling pots through pumps. When the temperature drops down to about 30 to 35 degrees, it is poured out into filter plates where impurities and obsolete cake powder is refined out. The oil is then sent into heat exchangers and lastly drawn into large sedimentation tanks, where temperature generally drops to 15 degrees. After the production process is complete, extracted oil is stored in low temperature conditions ideal for them. 1, it can increase the oil yield, improve the taste of the oil, and the fragrance is rich. 2. It is easy to cause high temperature oxidative polymerization, decomposition and production of peroxides and some harmful substances, damage the nutrients in oil. 3. High temperature causes protein denaturation, greatly reducing the content of polyunsaturated fatty acids in flaxseed oil, and even producing trans fatty acids. 4. More impurities, such as flaxseed dander, phospholipids, free fatty acids and so on, affect the appearance and color of oil and the inherent quality of oil. 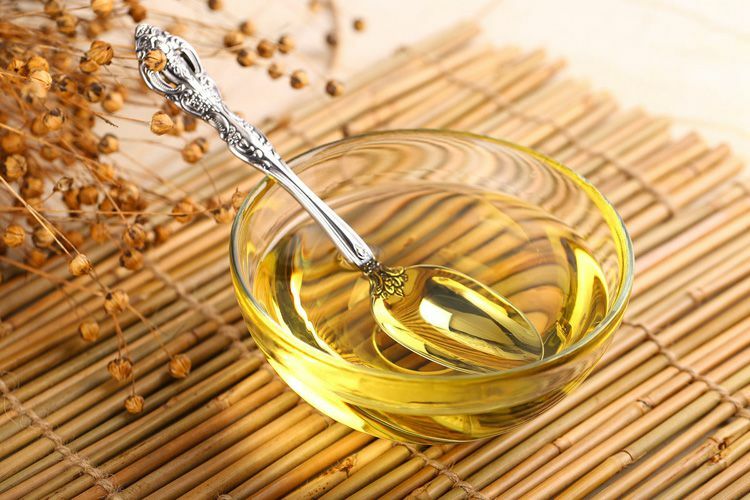 Advantages: linseed oil is rich in flavor and high in oil yield. Disadvantages: high temperature frying seeds will reduce the content of active ingredients in oils and fats, resulting in protein denaturation. 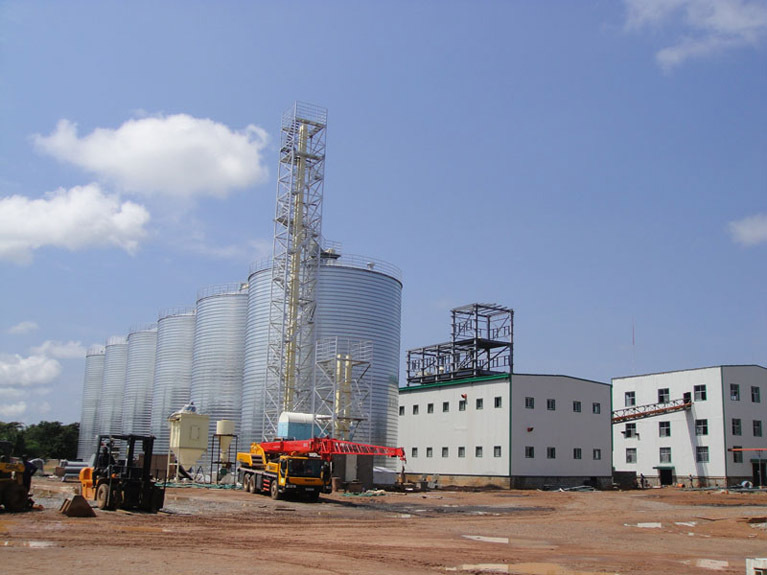 Click Here for Turnkey Linseed/Flaxseed Oil Production Project FREE Quotation! It refers to the vegetable oil extracted under great physical and mechanical pressure at low temperature, so it is called cold pressing. In this method, linseeds have not undergone the traditional high-temperature stir-frying or steaming process, so the oil is still distributed in the undeformed protein cells and contains abundant inherent components of flaxseed (linolenic acid and other nutrients). 1. Avoid harmful substances caused by degradation of oils and sugars in high-temperature oil pressing and denaturation of proteins. 2. Avoid the linseed oil color becomes darker and burnt smell caused by high temperature. 3. 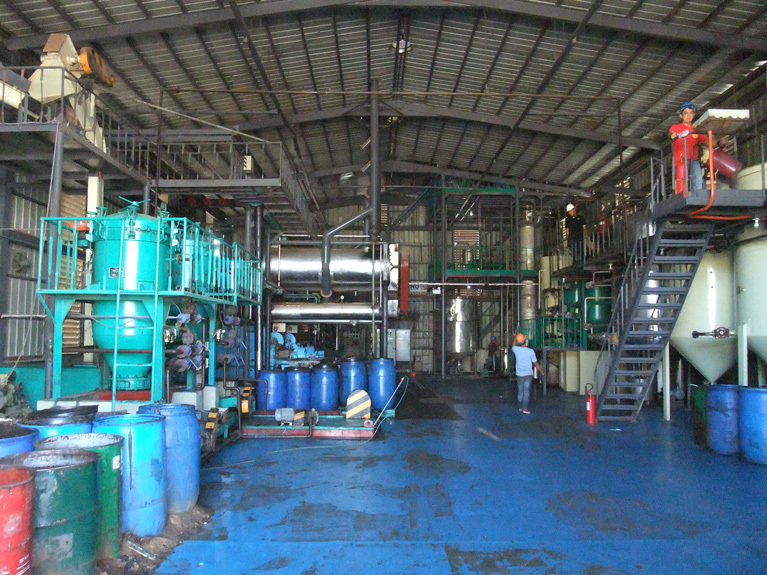 After multiple filtrations, the direct contact and secondary pollution of chemical substances caused by sulfuric acid degumming, caustic deacidification and activated white earth decolorization process in the hot pressing process are avoided. 4. Avoid high-temperature distillation and deodorization, effectively prevent the destruction of polyunsaturated fatty acid-α-linolenic acid in linseed oil at high temperature, effectively retain the natural complete nutrients, and make it easier for human body absorption and nutritional supplement. Advantages: It retains almost all the nutrients in flaxseed, and its taste is refreshing and non-greasy, and it is rich in polyunsaturated fatty acids. Disadvantages: lower oil yield and relatively high cost. The linseed oil extraction process means the linseed is extracted by organic solvents (such as gasoline, ethanol, etc.) to get oil. The extraction method uses solvent oil (No. 6 light gasoline) to soak the oil raw material linseed and extract the oil at high temperature. The oil first extracted is a mixture of organic solvents and oils, which cannot be eaten directly and can only be eaten after a series of oil refining processes (dewaxing, degumming, dehydration, deodorization, deacidification, decolorization and other chemical treatments). After extracted, the oil is generally lighter in color, which remains light original natural odor in the seeds or has no obvious odor. The extraction process can extract almost all the oil from linseed, and the economic benefit is very high. It is the most popular processing method in the modern oil industry. Advantages: Very high oil yield, low cost and higher economic efficiency. The most popular processing method in the modern oil industry. Disadvantages: Destroy almost all nutrients and there remain traces of organic solvents.